Don’t miss out on all of NerdWallet’s highly anticipated 2016 Black Friday ad leaks this season. Visit regularly for tips and announcements about the best holiday deals from your favorite retailers. Black Friday, the day after the Thanksgiving holiday when retailers typically launch their major holiday deals, falls on Nov. 25 this year. If you’re planning to shop on Black Friday, you’ll need to know when to get in line. We’ve compiled store hours for some of the most popular retailers so you can plan your shopping trip accordingly. Academy Sports + Outdoors: 5 a.m. on Friday, Nov. 25. Source: Academy Sports + Outdoors ad scan. Bed Bath & Beyond: 6 a.m. on Friday, Nov. 25. Source: Bed Bath & Beyond ad scan. Best Buy: 5 p.m. on Thursday, Nov. 24, and online deals will be available throughout Thanksgiving Day. Source: Best Buy press release. BJ’s Wholesale Club: Opens 7 a.m. on Friday, Nov. 25. Source: BJ’s Wholesale Club press release. Cabela’s: 5 a.m. on Friday, Nov. 25. Craft Warehouse: 4 a.m., 5 a.m. or 6 a.m. on Friday, Nov. 25, depending on location. Source: Craft Warehouse ad scan. Dell: Online 6 p.m. to midnight EST on Thursday, Nov. 24, then 8 a.m. to 8 p.m. EST on Friday, Nov. 25. Source: Dollar General ad scan. GameStop: 5 a.m. on Friday, Nov. 25 (but deals will be available online on Nov. 24). Guitar Center: 6 a.m. on Friday, Nov. 25. Source: Guitar Center ad scan. Harbor Freight Tools: 7 a.m. to 9 p.m. Friday, Nov. 25. Source: Harbor Freight Tools ad scan. HHGregg: 7 a.m. to 10 p.m. Friday, Nov. 25. J.C. Penney: 3 p.m. on Thursday, Nov. 24. Source: J.C. Penney ad scan. Jo-Ann: 6 a.m. on Friday, Nov. 25. Kmart: 7 p.m. on Thursday, Nov. 24. Kohl’s: 6 p.m. on Thursday, Nov 24, but hours may vary by location. Online deals start Nov. 21. 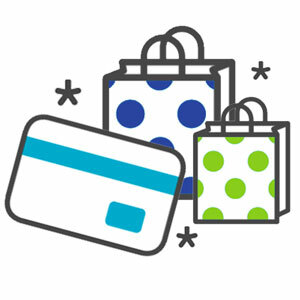 Find the right credit card for your holiday shopping. Which card offers the best cash back? Macy’s: 5 p.m. Thursday, Nov. 24, to 2 a.m. Friday, Nov. 25; then reopening at 6 a.m. Nov. 25 for most stores. Office Depot: 6 a.m. Friday, Nov. 25 (but deals will be available online starting at 12:01 a.m. Nov. 24). Source: Office Depot press release. PetSmart: 7 a.m. on Friday, Nov. 25 (but some deals, excluding doorbusters, will be available online starting at 7 a.m. EST on Nov. 24). Sam’s Club: 7 a.m. Friday, Nov. 25 (but deals will be available online starting at 12:01 a.m. EST Nov. 24). Source: Sam’s Club press release. Sears: 6 p.m. on Thursday, Nov. 24 (but some stores will be closed on Thanksgiving). Shopko: 4 p.m. on Thursday, Nov. 24 (but online deals will be available Wednesday, Nov 23). Stage: 12:00 p.m. on Thursday, Nov. 24. Staples: 6 a.m. Friday, Nov. 25. (but deals will be available online on Nov. 24). Target: 6 p.m. on Thursday, Nov. 24 (but deals will be available online early that morning). Toys R Us: 5 p.m. on Thursday, Nov. 24. Source: Toys R Us press release. Ulta: 6 p.m. on Thursday, Nov. 24 to 2 a.m. on Friday, Nov. 25, then reopening at 6 a.m. on Nov. 25. Wal-Mart: 6 p.m. on Thursday, Nov. 24. Keep checking back. We’ll update this page with more store hours as soon as they’re announced.